Jill Barber to the rescue! 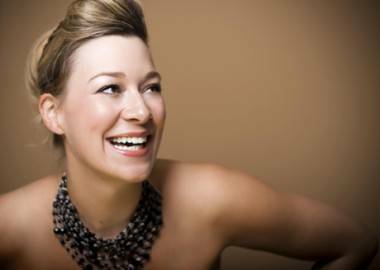 International rescue mission-type person and singer Jill Barber. According to CBC’s Grant Lawrence, Jill Barber‘s Air Canada flight was diverted for an international rescue mission. The singer was on her way to Australia for a tour when the pilot learned that a yacht had overturned in the south Pacific. According to an email from Lawrence, Barber’s husband, “The Air Canada plane was the only aircraft in the vicinity, so the pilot announced they were obligated to search for the boat. The Air Canada jet flew RIGHT over the ocean, dipping its wings from side to side and asking all the passengers to look for the boat with any binoculars they might have with them. Exciting news, and a good thing for the passengers of the sailboat. This entry was posted in news and previews and tagged Jill Barber, Vancouver music. Bookmark the permalink.